These opaque black PET bottles are a resilient and bold packaging option for food, beauty, and other products. 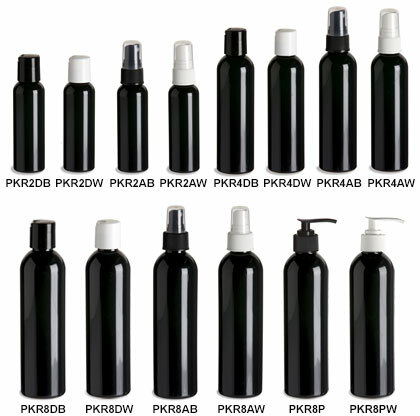 Appropriate for an array of industries; these bottles are particularly well suited for light sensitive ingredients. Choose between pumps, atomizers, or disc caps in black or try a contrasting white closure. All prices include applicable closure.